The purpose of the Public Information Officer (PIO) is to provide a clear, impartial and effective method of disseminating police information to the public and the news media; to ensure the accuracy and consistency of information; and to prevent disclosure of information that might adversely affect any individual or criminal or civil court proceedings.  The Auburndale Police Department operates a Facebook page so that our citizens can follow and comment on various topics that relate to law enforcement in Auburndale. We welcome your feedback, but we ask that you follow our Social Media Policy and keep your comments appropriate. Keep in mind that our social media channels are not intended for the reporting of emergency and non-emergency incidents.